Description: North America showing California as an Island. Beautiful ornate map with many vignettes. Coloured. Description: North America. Accurate Mississippi River and California re-attached. Coloured. Description: North America. Attractive map with two splendid cartouches. Original colour. 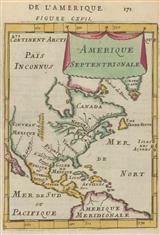 Description: North America depicting California as an island. Coloured. Description: North America showing California re-attached. Large decorative cartouche. Description: North America. 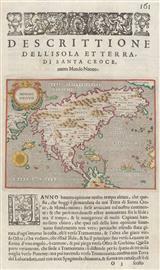 Dutch edition of de L'Isle's ground-breaking map of the continent. Original colour. Description: North America. Original colour.